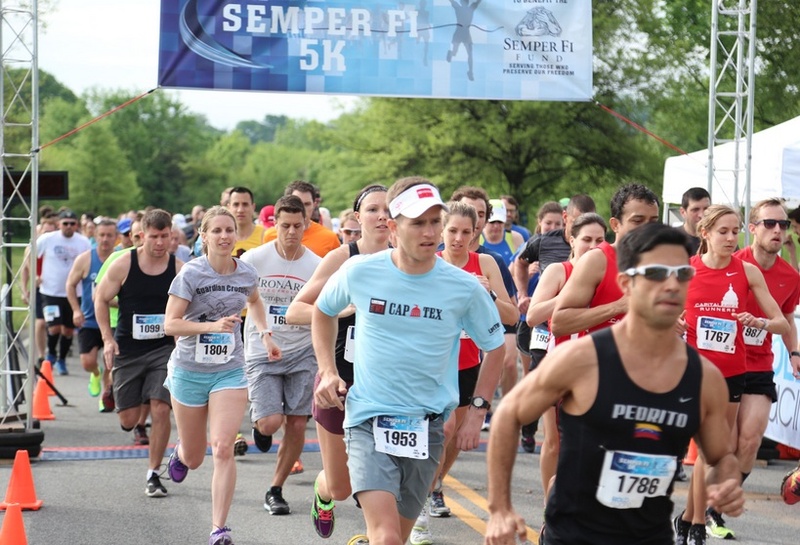 The 10th Annual Semper Fi 5K Run/Walk will be held Saturday, May 11, 2019 just steps from the Lincoln Memorial in Washington D.C.
100% of the proceeds from our volunteer-driven event benefit the Semper Fi Fund, a 501(c)(3) non-profit organization that provides immediate financial assistance and lifetime support to post 9/11 wounded, critically ill and injured members of all branches of the U.S. Armed Forces, and their families, ensuring that they have the resources they need during their recovery and transition back to their communities. The Semper Fi Fund is only one of two veteran charities to receive an A+ rating from The American Institute of Philanthropy and Charity Navigator gave it its highest ranking; 94 cents of every dollar it receives goes directly to our wounded warriors, so we can all feel even better about how are dollars are being spent. To learn more about the Semper Fi Fund and the great work they do, visit www.semperfifund.org. 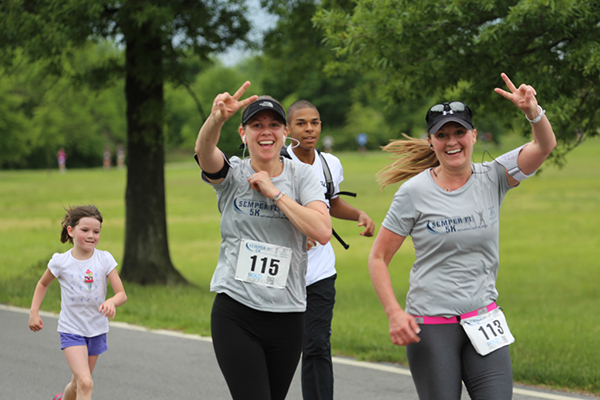 Join us near the Lincoln Memorial on Saturday, May 11, 2019 for the 10th Annual Semper Fi 5K and run or walk to help us raise $50,000 for our wounded warriors! 100% of the proceeds benefit the Semper Fi Fund! Thanks to our tremendous volunteers and sponsors, every single penny left over from registration fees goes directly to the Semper Fi Fund! Together, we have raised over $390,000 (and counting) for our wounded warriors! Entry Fees starts at just $30 for all participants! Register early - prices increase as as people sign up! 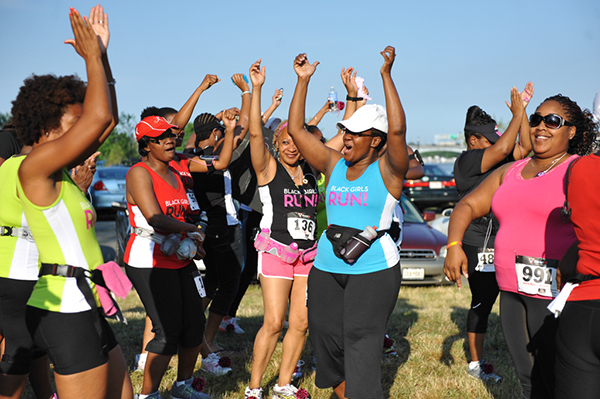 Entries are limited so please sign up early to ensure your spot in this year’s race! Registration fees and donations are non-refundable. 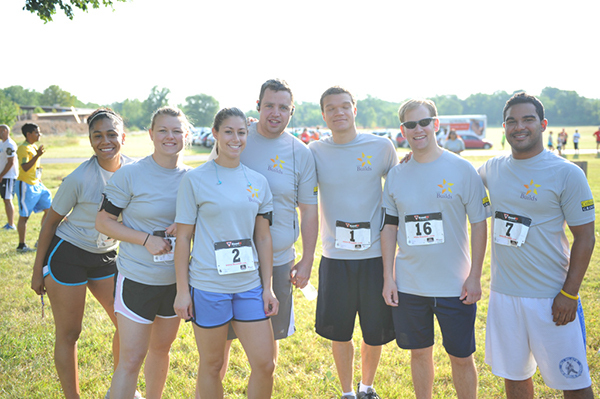 Not available to run or walk with us on May 11th but still want to help our wounded warriors? 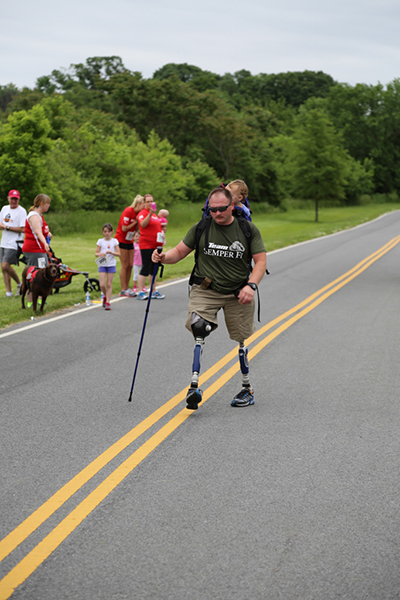 Even if you can’t join us for the Semper Fi 5K, you can still make a difference in the lives of our wounded warriors and their families by becoming a “virtual runner!" 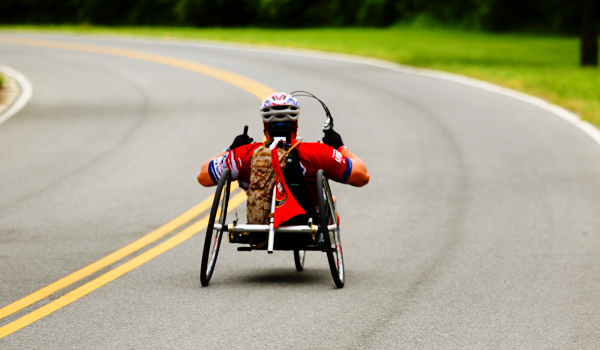 REGISTER as a “virtual runner” - fundraise for the Semper Fi Fund and help us raise awareness about the great work they do for our wounded warriors! We'll stay in touch along the way to keep you motivated! 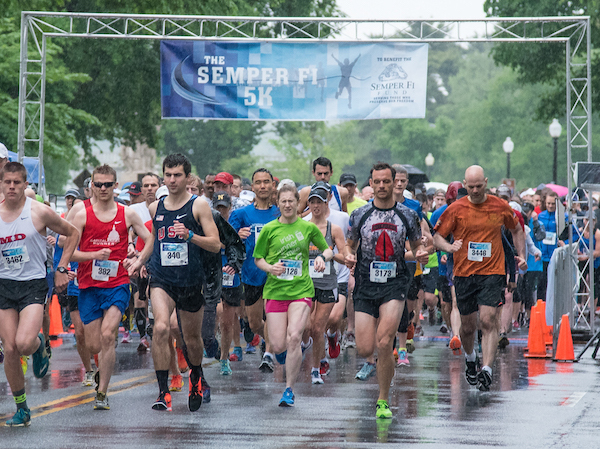 We'll send you a 2019 Semper Fi 5K certificate and t-shirt that you can wear during your virtual 5K! Don't forget to take selfies - post them on social media using #SemperFi5K and we'll also upload your (self-reported) time into our online race results! Please note that Ohio Drive will be closed from 6:30 am through the conclusion of our event. Thursday, May 9th, 2:00 p.m. - 7:00 p.m.
Friday, May 10th, 2:00 p.m. - 7:00 p.m.
NO PACKET PICK-UP ON RACE MORNING! Yes, you can pick up packets for friends/family. Please bring an electronic copy on your phone of each person's registration email with the QR code. Please note that there is NO race-day registration. Directions: Take the Metro! The Arlington Cemetery (Blue) and Foggy Bottom (Blue/Orange/Silver) stops are the closest - ensure you hop on the first available train when the Metro opens (at 7am) to ensure you arrive on time (20+ minute walk)! Ohio Drive will be completely closed to vehicles on race morning and not re-open until 9:30am. There will be NO PARKING along Ohio Drive on Saturday morning. We strongly encourage you to walk, metro, bike or take a taxi. If you absolutely must drive, the closest parking will be on Constitution Ave. Timing: Our 5K run/walk will be professionally timed using an RFID chip system. 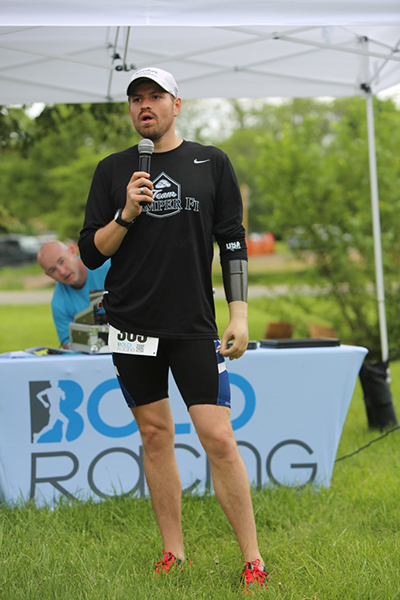 Your timing chip will be a thin RFID tag attached to the back of your race number. Please do not remove it. Also, do not fold or bend your race bib, or you might damage your timing chip. Strollers & Children are welcome to participate! Our event will take place on a closed course (thanks to the U.S. Park Police). If you would like to run with a stroller, we have a few requirements: you must start in the back, you may not weave through packs of runners, and you must always yield the right of way to other runners. As long as you drive responsibly you shouldn’t have a problem bringing junior along for the ride. Note: Children in strollers do not need to register. In addition, do not have your child wear a timing tag if he/she is catching a ride. That tag will read that your two-year old ran your speedy time and can lead to tears from young children who rightfully won their age group. Weather: We are planning on clear skies and sunny weather for race day! Bag Drop: We will have a bag drop available, which will be monitored by volunteers. Unfortunately we cannot be responsible for any valuables that are lost or stolen. Leave items at your own risk. Dogs: Unfortunately dogs are not allowed to participate in our event. Bathrooms: Restrooms will be available near the start/finish area. Water Stop: We will have a water stop staffed by volunteers at the half way mark along the course. Headphones: Our RRCA insurance policy dictates that we cannot sanction headphone use during our event. Runners who choose to run while wearing headphones must assume full responsibility for their use. They must be able to hear all instructions and directions given by race course personnel and be aware of their surroundings at all time. We understand that many runners feel that running with their music helps them stay focused and motivated - the course will be closed to vehicular traffic, so it's ultimately your decision. Post-Race Festivities: We will have music playing before, during, and after the 5K. 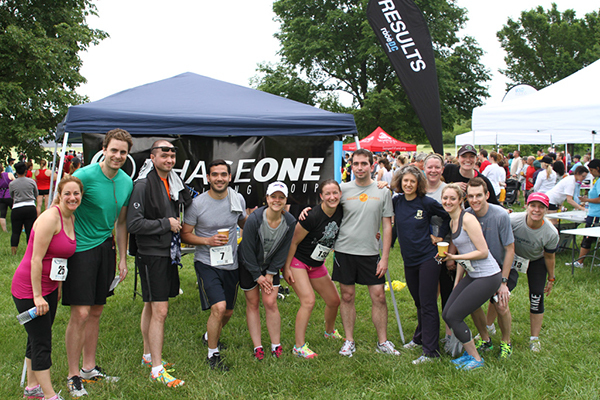 Water, sports drinks, bananas, bagels, and other light snacks will be available at the finish line. 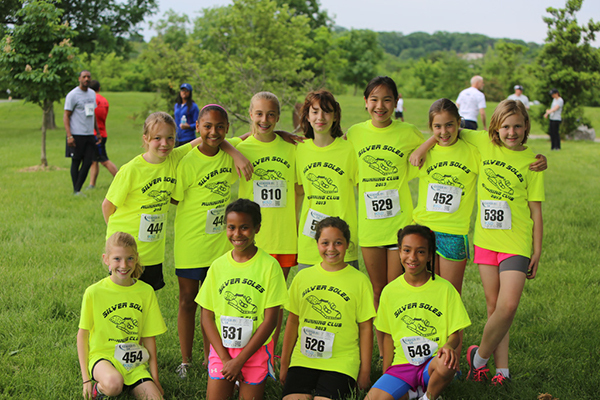 Volunteers: The success of our 5K rests squarely with our volunteers. If you would like to help out, please click here! 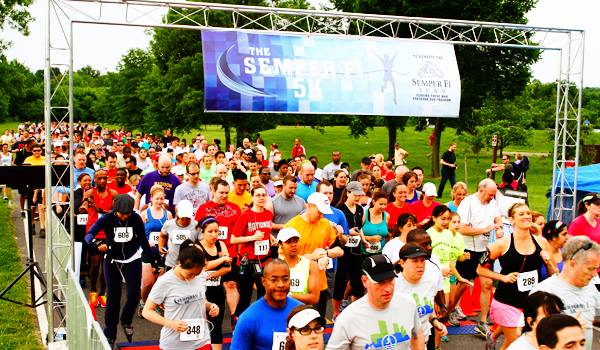 Every volunteer will receive a Semper Fi 5K t-shirt!